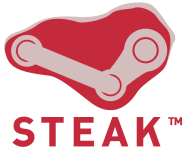 This article has been imported from The Steam Review’s previous host, and has had its original posting date retained. “We’re getting ready to release a fairly significant overhaul of the look and feel of Steam, ahead of the release of Rag Doll Kung Fu. Part of this release is going to give individual games more space for people to see screenshots and information about individual games, including MODs. A short 50 words or less description of the game. 5 screenshots in .jpg format to include. The width of the screenshots can be no greater that 1024px, but the aspect ratio is up to you. The update is ‘mostly a visual overhaul’ to ‘accommodate the release of more products’ and won’t contain many major code upgrades such as the new version of Friends. It’s not hard to come up with ways of improving the current system, though Valve requesting five images would suggest that each game now has its own unique page. This is of slightly more substance. Previously I would have guessed at a new heading in Play Games, ‘Community Games’ or similar, to hold mods distributed using the existing framework. This comment suggests things are going slightly further however, perhaps somewhere near Resource Packs. Alternatively it could be something as mundane as a P2P connection manager to download free content without bothering the main content servers – let’s hope not. It’s also worth pointing out another feature suggestion that has caught Valve’s eye in the past. Even though there’s been no suggestion of its inclusion beyond ‘we’ll keep it in mind’, Lunchtimemama’s updated Play Games interface may well be introduced in part or in whole with the update. More news as it arrives. Infodumps are available on the Steam Forums, or through the hlcoders mailing list.